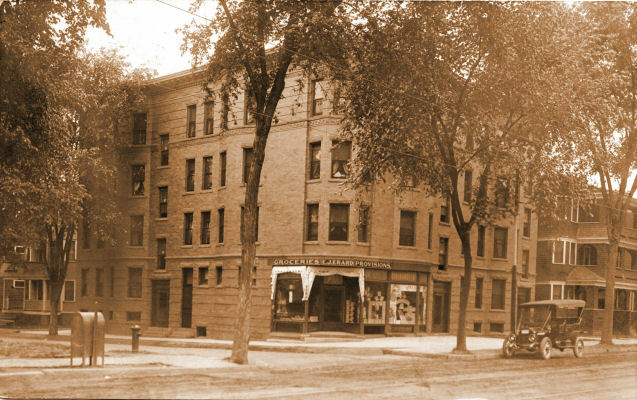 This apartment block is no longer standing, it stood in the North End of Springfield, where the D'Amour Center for Cancer Care now stands, on the corner of North Main (now Main) and Grace Street. The soap as come and to come Friday afternoon and bring you sister with. Will you please tell Ida to. -- Mrs. Westory. Mrs. Carl Molin Medford St. Brightwood (Springfield) Mass.